In 1833 the Liverpool & Manchester Railway began building new enclosed second-class carriages. The original second-class carriages now became third-class carriages. These carriages were open at the sides and did not provide passengers with any protection from the weather or the pollution created by the locomotive. These carriages were painted a uniform blue and had holes drilled in the floor to allow the rainwater to run away. The 1844 Railway Act improved the quality of third-class travel. The act stipulated that all third-class passengers should be carried in covered accommodation. Railway companies also began providing lighting in third-class carriages. However, whereas there were several oil lamps in the first class carriages, third-class carriages only had one. 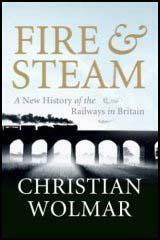 (1) Francis Coghlan wrote a report on third-class carriages for the London & Birmingham Railway in 1838. I advise passengers to get as far from the engine as possible as the vibration is very much diminished. Always sit (if you can get a seat) with your back towards the engine, against the boarded part of the waggon; by this plan you will avoid being chilled by the current of cold air which passes through these open waggons and also save you from being blinded by the small cinders which escape from the funnel. In these third-class carriages there was a general feeling of bare boards and cheerlessness as you entered them and if you were travelling in the winter time they gave you a kind of cold shiver. The seats were cushionless and the longer you sat on them the harder they seemed. (3) Thomas Wood took a train journey in a third-class carriage in 1845. I took a train to Rochdale. We were put into a truck worse and more exposed than cattle trucks. There were seats, or forms to sit on, but they were swimming with rain. 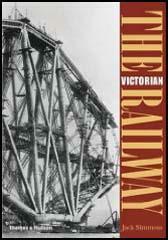 (4) Samuel Laing wrote a report on third-class railway travel in 1842. The sides and ends of the carriages are only two feet high. A moderate shock is enough to throw the passengers out of the carriage.